Recovering from a personal injury incident is often a stressful time. At Brian J. Levy & Associates, P.C., in Bronx, New York, we recognize the serious implications our clients face. In addition to the physical pain, there are financial and emotional considerations. 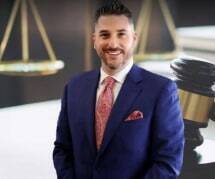 Those who have suffered as a result of someone else's negligence deserve the best possible representation from a reputable law office as they pursue maximum compensation. No amount of money can undo the losses our clients have encountered. However, it can make the road ahead a little smoother. It is the job of our law office to focus on the legal strategy so the people we serve are able to focus on what matters most: getting back on their feet. Brian J. Levy & Associates accepts credit cards and offers free initial consultations.